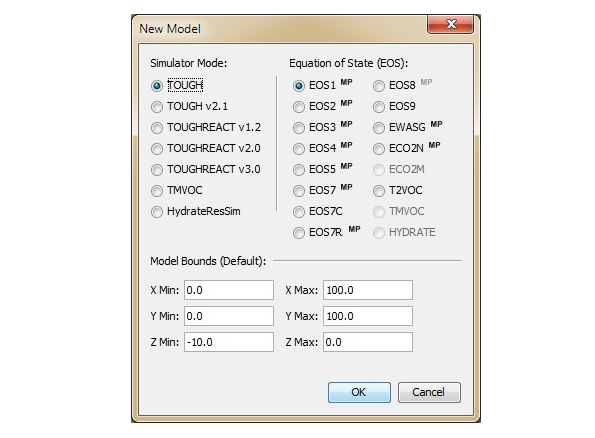 *PetraSim includes free executables for the TOUGH v2, TOUGHREACT v1.2 and TMVOC v2.0 simulators. Newer simulators such as TOUGH v2.1, TOUGHREACT v2 and TOUGH2-MP need to purchased through LBNL and in addition to the PetraSim interface. You can find pricing on the LBNL TOUGH2 webpage. **HydrateResSim can be acquired through NETL.